8 one-hour recorded lessons, available now. 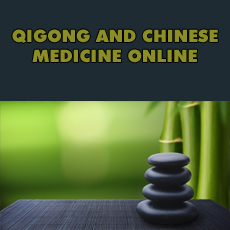 If you are interested in learning Qi Healing, this course is a prerequisite for the hands-on Beginning Qigong healing online class which will be offered starting Wed. Nov. 29, 2017. Note: It's not too late to join the Qigong Healers sequence of classes. View the entire Qigong and Chinese Medicine course and Beginning Qigong Healers recordings: $85 discount! Get this course for FREE if you register for the Beginning and Intermediate Qigong Healers Courses- $160 discount! Learn more- Special Healers Package!